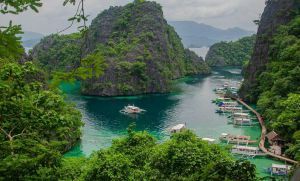 The Philippines has some of the world’s most peculiar and most exciting rides. When you visit the country, make sure to ride any one of these for a more fun and more memorable Philippine trip. The Philippine highways may be heavily laden with traffic, but thanks to the ornamented jeepneys and multicabs, one can at least get some helpful diversion. Jeepneys are non-air con vehicles servicing the commuting public, roaming the streets in a parade of colors. It’s the cheapest, most common way of getting around. Buses ply longer routes to rural and suburban destinations from major cities. Some of them are hired as transport exclusive to tourists. Public buses congregate at designated terminals and pick up or drop off passengers at specific stop points. Taxis usually operate within the city, but may reach outlying areas within the province for an extra charge. Taxis charge P40 plug down plus P2.50 incremental charge. There are trains in the country, but they only service Metro Manila – they are the Light Rail Transit (LRT) and Manila Metro Rail Transit (MRT). The Philippine National Railways (PNR) is no longer in service. Vans for Hire or V-Hires service provincial routes where other modes of transportations are scarce or unavailable. They usually have terminals or park within shopping malls for added convenience. Tricycles (standard three wheels) and motorela (jeepney-like cabin with four wheels) service many parts of the country including large cities, although routes may be limited to ease traffic. 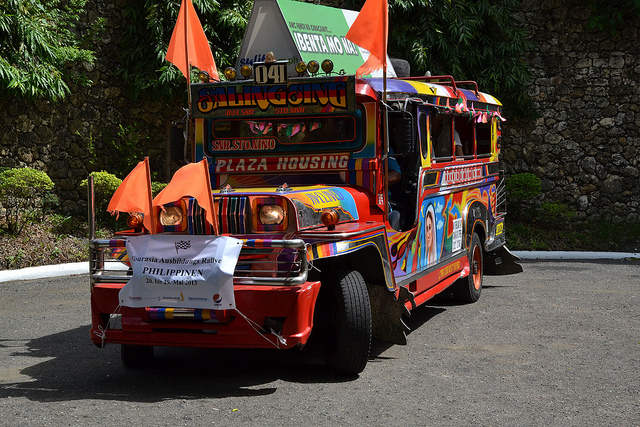 They also come in colorful decorations much like those of jeepneys. The roads to mountainous regions may be unpaved and very steep, and only habal-habal is available as transport. Habal-habal is a standard motorcycle used for public transport carrying at least two passengers at the rear. 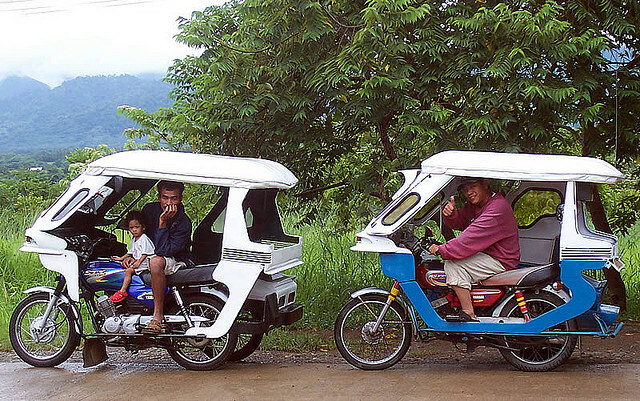 Pedicabs or trisikads are non-motorized versions of the tricycle. They are bicycles fitted with passenger cabin for transport purposes. It’s common to find pedicabs where there are tricycles. 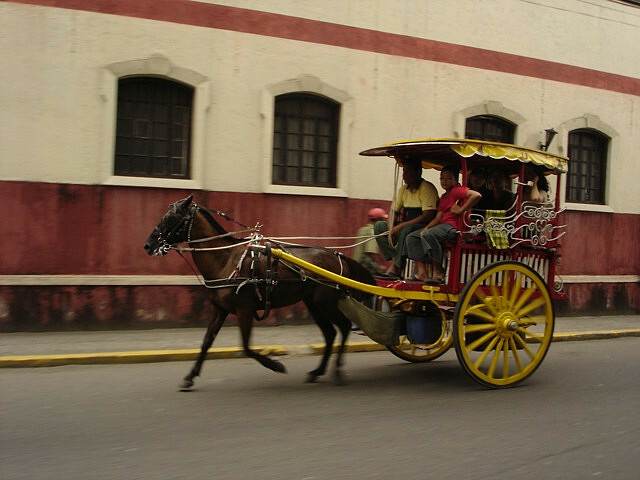 There are still horse carriages serving certain city streets throughout the country. Kalesas are period modes of transport dating back many centuries, but the cabins usually only have two wheels, so the ride can be bumpy even on paved roads. Palayon or wooden scooter is a famous mode of transport in Banaue. It may not technically be for public use, but it’s an interesting ride nonetheless. In rural areas and certain urban areas, hand tractors or kuliglig (vehicles) are used to haul two-wheel trailers that carry passengers. Aside from public transport, they actually have various uses: irrigation (tractor connected to water pump), grinder (tractor connected to grindstone), and festival float. As said, Filipinos have some of the weirdest modes of transport, and some of the riskiest, too. The riles kariton is one of them. Railroad trolleys are makeshift modes of transport that ply along the railroads with the driver pushing a shabby passenger cabin. It’s the Philippine version of the handcar. The carabao is one of the most hardworking animals in the country, that’s why it’s the Philippine National Animal. People ride the carabaos on its back, holding its tail or on a bamboo raft (with or without wheels) attached to a yoke like a horse carriage. The cheapest inter-island travel is via ferryboats or pumpboats. Ferryboats are larger passenger vessels, able to carry even vehicles and huge cargo, while pumpboats are best for island hopping. There are also hovercrafts servicing neighboring islands. 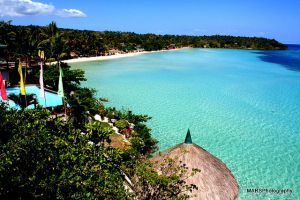 Major cities and tourist destinations in the Philippines have airports making it possible for quick trips via airplanes. The country currently has more than 10 international airports and several domestic and community airports.